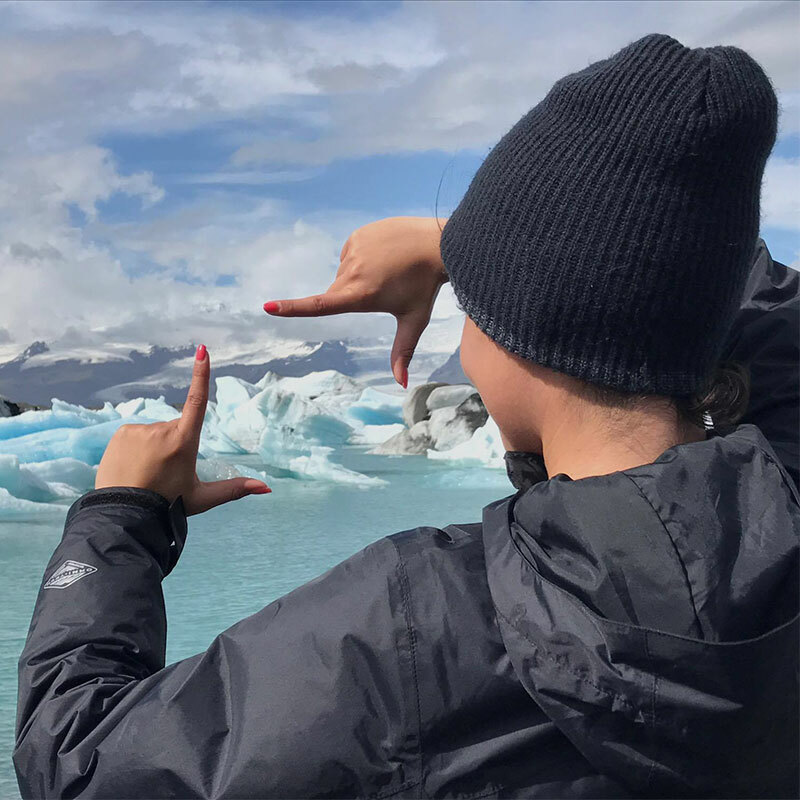 Iceland offers student groups a massive in-your-face raw landscape to experience and learn about nature’s geological and physical forces, and to interact with a culture over 1,000 years old! 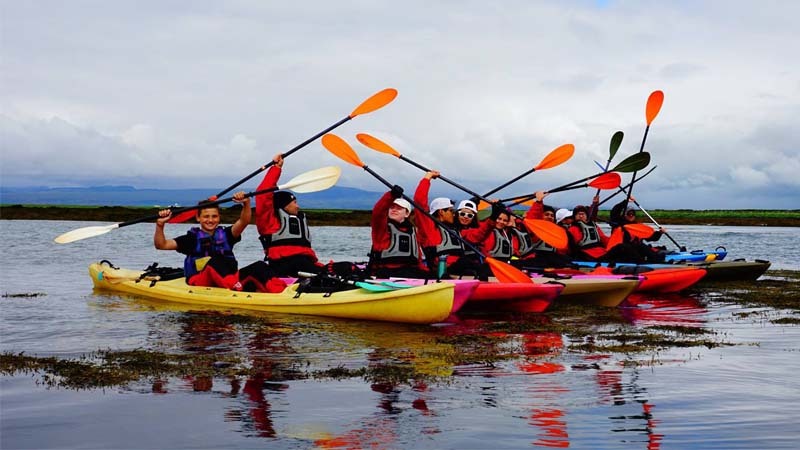 Iceland South Coast Camping Adventure is an Iceland student trip that goes beyond the Golden Circle. Students will discover and experience Iceland on foot, by paddle, in crampons, and in the spirit of adventure! 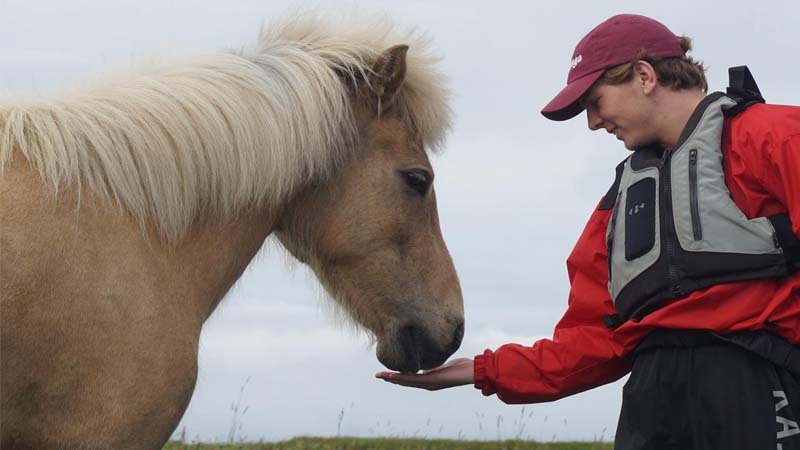 Here, is the perfect place for students to gain an understanding Iceland culture and history while learning about island bio geography and arctic ecology. The Iceland student trips begins in Reykjavik. From here, we head south along the Ring Road stopping at some of Iceland’s most amazing geological features, natural wonders, and cultural treasures. 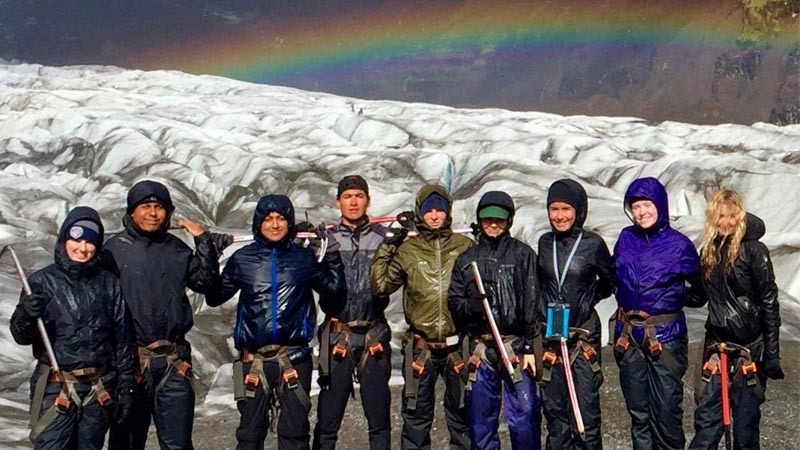 Students will be introduced to the science behind the dynamics of the constantly changing Icelandic landscape via the physical forces of glaciers, volcanos, water, and wind. 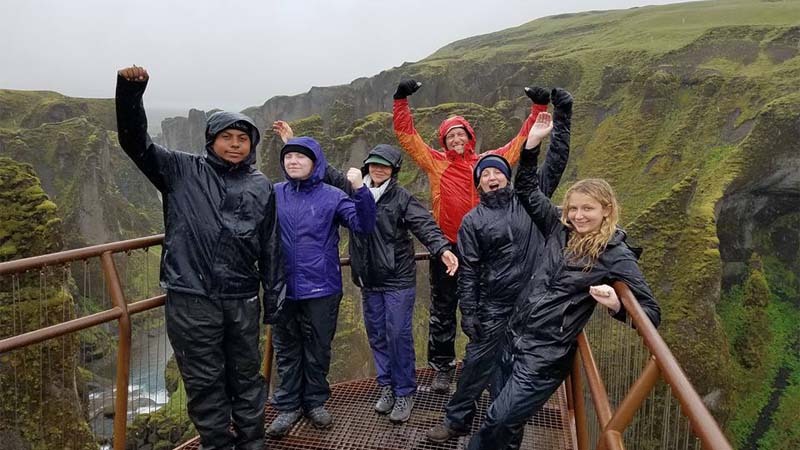 As with all Green Edventures Eco-Tours for Students, participants will be learning about Iceland using an inquiry-based approach as they investigate topics of their own interest throughout the week. 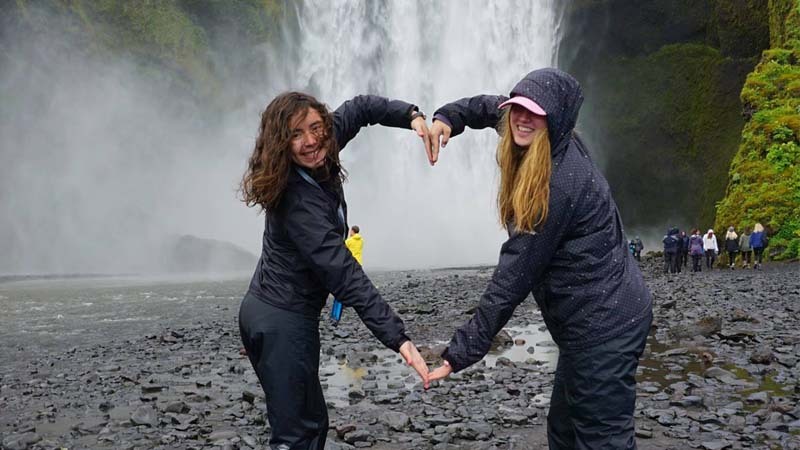 Our Iceland student trip group size is limited to 18 to allow for more personalization and spontaneity. 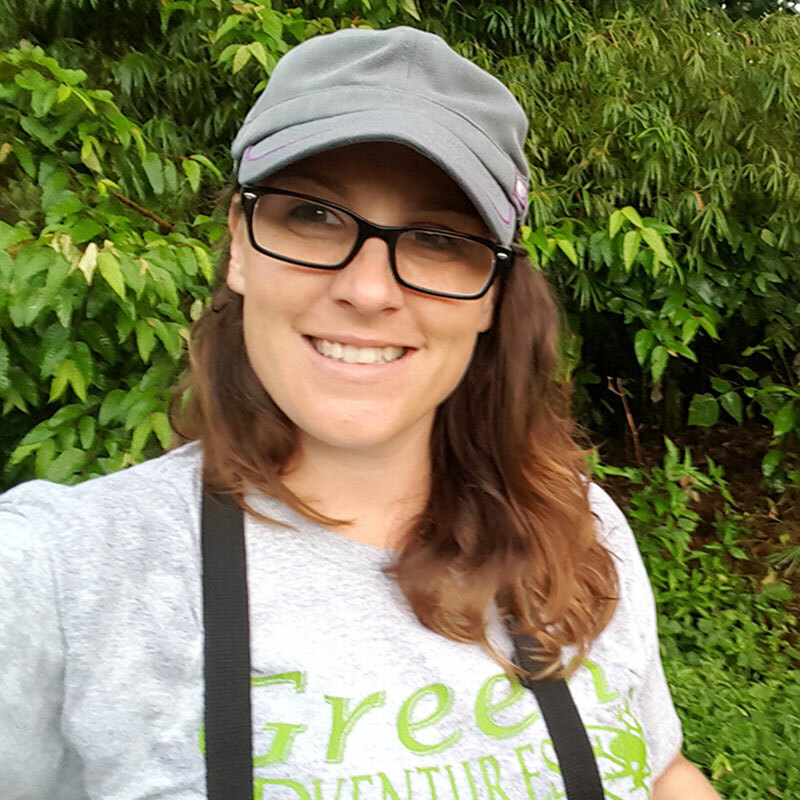 Each trip is led by a local guide, a Green Edventures Educator, and a teacher/chaperone from the students’ school or organization. Lodging is 2 nights in guest houses (similar to B&B’s) and 4 nights camping at organized campgrounds with shower and toilet facilities. Camping can be substitute for guest houses/hostels for the duration of the trip for the group. Please inquire about pricing. Camping is the most economical and fun way for student groups experience Iceland! Relax in the Blue Lagoon, and soak in the geo-thermally heated sea water. See the lesser traveled parts of Iceland and a variety of scenic & off the beaten path hikes throughout the trip, and spend time in small towns and hamlets. Groups typically arrive very early in the morning between 6am and 7am. 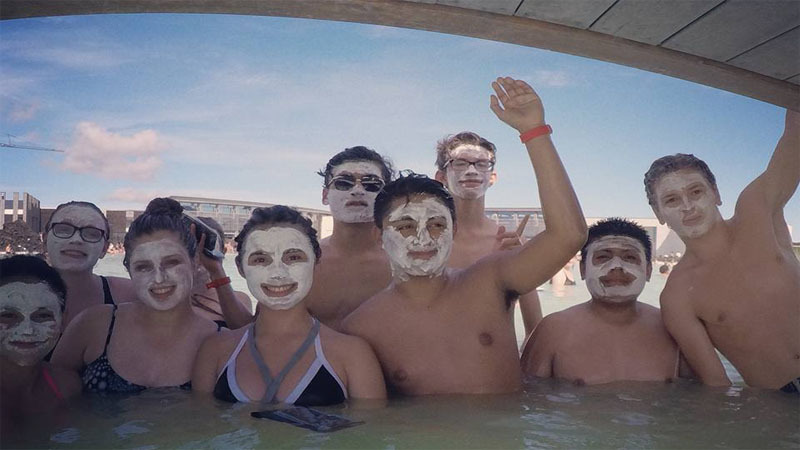 Transfer to the Blue Lagoon for a soak in the hot springs after a long night of travel. A free day to rest and walk around Reykavik. Dinner in town and overnight in guesthouse. Breakfast at guest house. We leave the capital towards the National Park of Thingvellir. There we walk along the faults and fissures of the area that make evident the rifting of the Earth‘s crust and hear about the major historic events that have taken place at this UNESCO World Heritage Site. After the visit to Thingvellir we will drive to Reykholt and have a tomato soup at Friðheimar green house where we also will get a short presentation of the specialties of Icelandic horticulture and a tomato tasting. 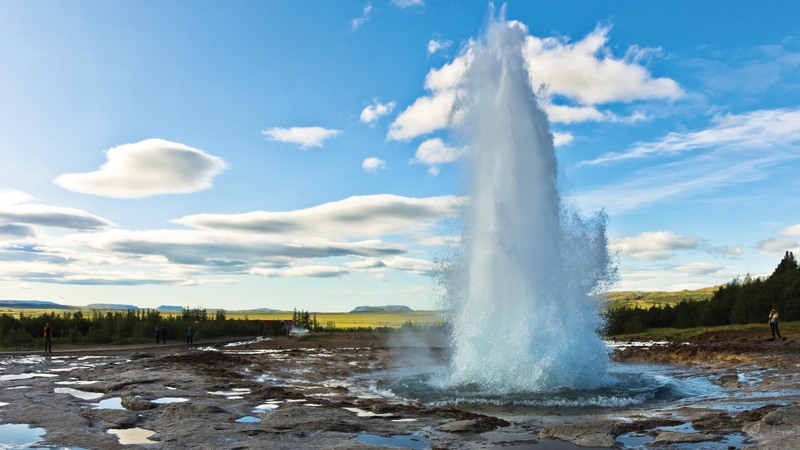 We continue towards Geysir geothermal area and witness the spouting spring Strokkur that erupts up to 90 feet high, and close by is the majestic Gullfoss Waterfall. From there we drive towards Selfoss for overnight at campsite. There is a possibility to go to a local open air swimming pool in the evening here! Stokkseyri is a village of about 445 people in South Iceland, on the great Thjorsarhraun lavafield. In former times Stokkseyri was an important fishing center and trading village. 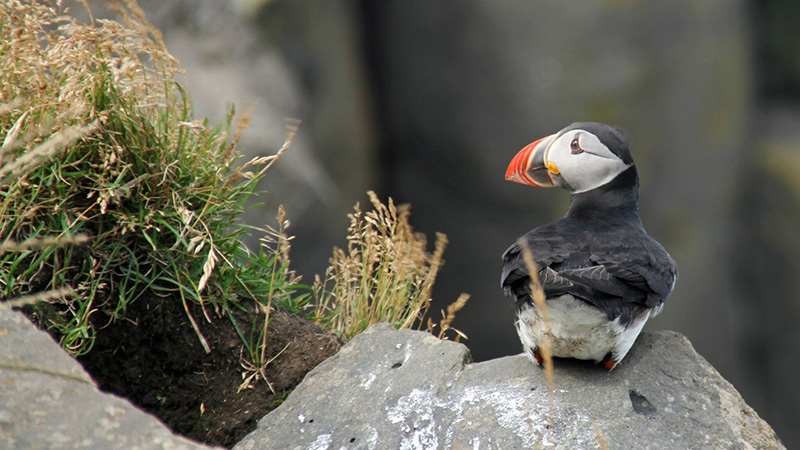 The real adventure begins with this 2-3 hour guided sea tour amid the skerries (reefs or rocky islands) and beautiful lagoons along the coast. 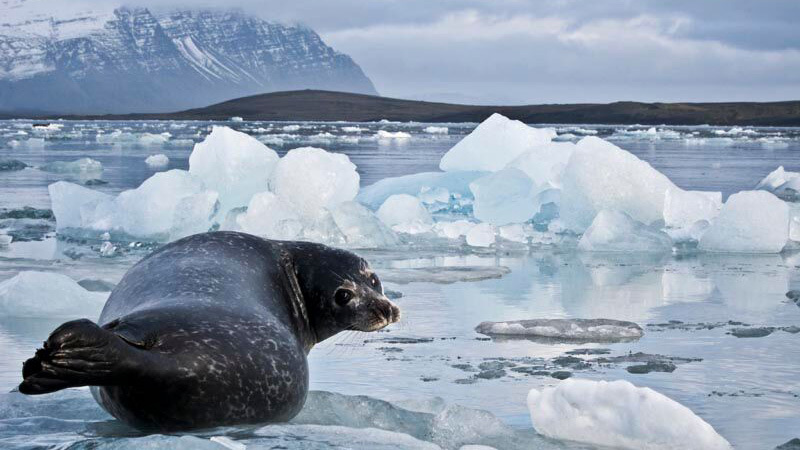 Home to seals and an array of sea birds in an incredibly diverse biota. The paddle starts in a calm marsh then meanders through a mosaic of channels which lead to shallow river that flows into the ocean. It is an easy paddle with wonderful scenery and opportunities to photograph and learn about wetland ecology. Later, we continue East, we our first stop is at the waterfalls Seljalandsfoss. Participants can walk behind the beautiful cascade to get a better perspective and feel for the power of it. Continuing on, we head on to the beautiful village of Vík where we take a short walk on the black beaches, admiring the power and beauty of the Atlantic Ocean. The high cliffs dominate the black beach below, and just off the coast pillars of rock rise up from the ocean’s surface. Legend says that these are trolls that turned into stone after staying up past sunrise. Camping in the area. Today we continue on our way east across the vast sand desert of the south and the lava field of Eldhraun, one of the biggest lave flow coming from one single eruption. We take a short walk at the impressive Fjaðrárgljúfur Canyon before arriving at the National Park of Skaftafell. The afternoon will be spent hiking in this magnificent park at the foot of the mighty Vatnajökull glacier, the largest glacier in Europe. 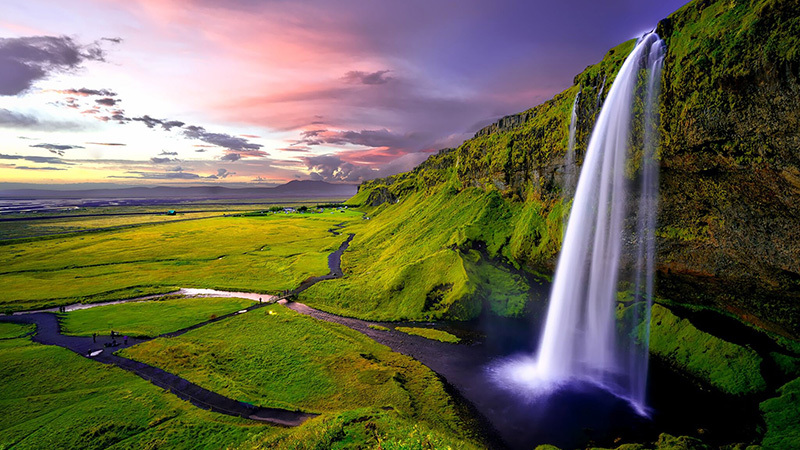 It is a green oasis covered with arctic birch, and colorful valleys, rivers, waterfalls and flowers decorate the landscape, in contrast with the mountains surrounding it on one side and looking over sandy plains of Skeiðarársandur where in 1996 an impressive flood caused by a volcanic eruption under the Vatnajökull glacier took place. Camping in Skaftafell for two nights. Even though we have some route to cover back to Reykjavík we will make a few interesting stops along the way. One of these stops is at Reynisfjara where the basaltic formations of the ocean cliffs tower impressively over the beach and Dyrhólaey bird sancutary. 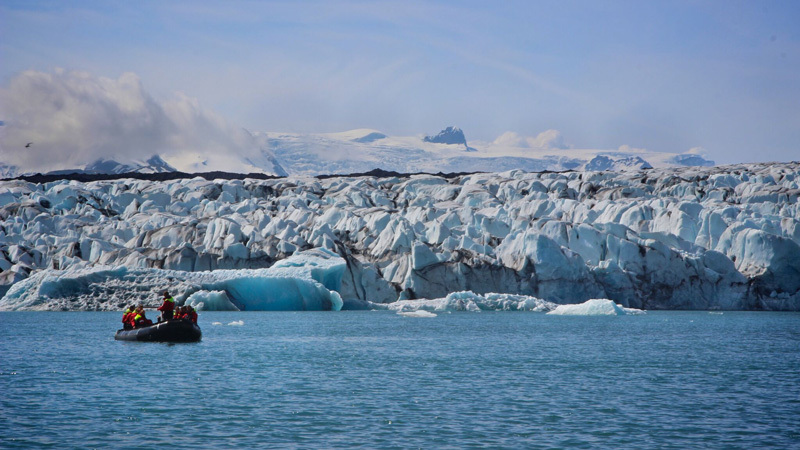 Before returning to Reykjavik we will experience an exciting glacier walk on Glacier Sólheimajökull. Arriving to Reykjavik in the afternoon. Overnight in guest house. Group is transferred to airport for return flights home. English speaking Icelandic driver and guide. Round trip group transfer from Keflavik international airport to Reykjavik. 2 nights lodging in guest houses in double twin rooms with shared toilet and shower facilities. 4 nights camping with all equipment included in organized campgrounds with shower & toilet facilities. Ground transportation via 14 seater mini bus. Most meals (Breakfast on day 2 to lunch on day 6, & breakfast on day 7.) During camping, meals are prepared by your guide with help from the participants. Lunch is packed lunch made in the morning by the students. Price: $2995 plus airfare to KEF. Installments: Yes. Final payment is due 30 days prior to travel. All payments are non-refundable if cancelled by the participant. In the unlikely event that Green Edventures is unable to fill the trip, a full refund will be given.